Artem's on the floor at Google I/O at the moment, but he's busy taking pictures and popping out highlights over Twitter. While he's busy with that, here are some highlights (via the Livestream). over 200k apps available in Android Market - "quality of these apps is phenomenal"
Whoa - they're playing (unsuccessfully) attempting to play a game on the XOOM using a 360 controller. 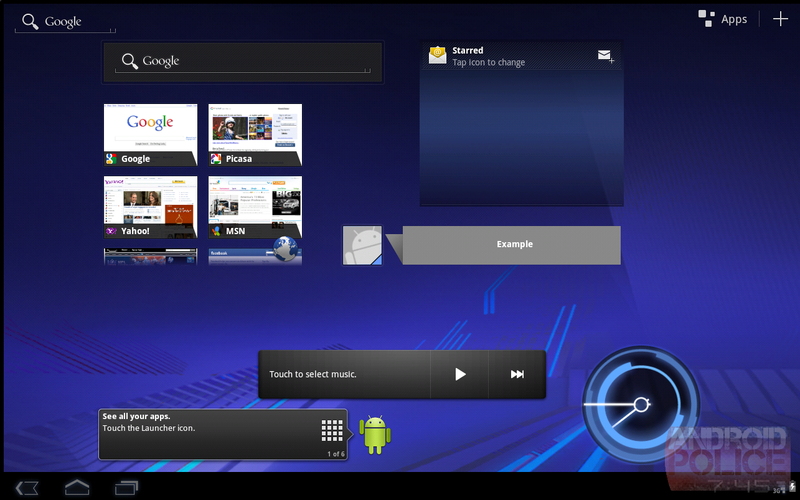 We've all heard that Ice Cream (the next version of Android) is supposed to combine Gingerbread with Honeycomb, but our friends over at Phandroid have gotten the inside track on some additional information, and it looks like Google TV may become part of the bundle as well. While Google TV has gotten off to a rocky start, incorporating it into Android seems like it would be a smart move for Google. Pocket-lint has been told that the Viewsonic ViewPad 4 smartphone will be the first device with Android 2.4 when it launches in April of this year. Android 2.4 was confirmed over a month ago; however, this rumor lends credence to the fact that the update will not be a major release. Instead, the update will augment Android 2.3 (Gingerbread), allowing dual-core apps specifically designed for Android 3.0 (Honeycomb) to work on single-core devices. [Weekend Poll] The Great Divide: Is The Tablet/Phone Split Going To Hurt Android? Welcome to the first of a new series of polls, where every weekend, we'll ask your opinion on a timely Android-related topic. The goal is to see where the populus stands on issues and foster discussion to broaden our view. So without further ado, let's get into our first poll. Ever since the SDK was released, there's been discussion on whether Honeycomb would make it to phones or not. Yes, Folks, Honeycomb IS A Tablet OS - Though Some Of Its Features May Arrive On Phones "Over Time"
If, for whatever reason, you didn't believe that Honeycomb is an OS built exclusively for tablets (despite the third slide of Google's official video teaser), here's yet more proof for your doubting mind. First up, we have a report from PC Magazine, who has been told by a "company spokesman" that Honeycomb will not be available on Android smartphones. However, some of its features will be carried over (PC Mag thinks Movie Studio and browser enhancements are likely candidates) - just as should be expected. Andy Rubin: Next Version Of Android To Be Called "Ice Cream Sandwich"
As you probably know by now, versions of the Android OS tend to be alphabetically named and include some sort of reference to a dessert. Therefore, it was only reasonable to assume that the version of Android following Honeycomb would be called "Ice Cream." 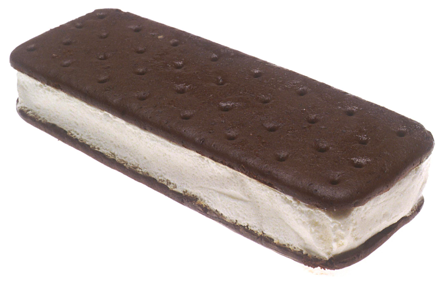 However, according to Andy Rubin, that is not the case - instead, the name will be "Ice Cream Sandwich." 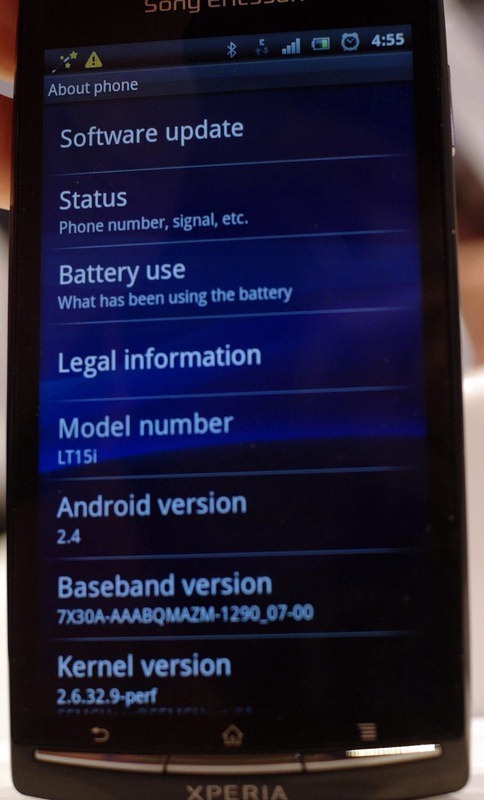 We still don't know Ice Cream Sandwich's version number, the features it will introduce, or anything else about it, but for those of you interested in the reason behind the name, TechCrunch has a pretty good theory: Google's statue for Android 2.2 includes frozen yogurt, which would be pretty hard to distinguish from ice cream.